Company Overview - Anping JH Steel Grating Metal Wire Mesh Co., Ltd.
1YRSAnping JH Steel Grating Metal Wire Mesh Co., Ltd.
Anping JH Steel Grating Metal Wire Mesh Co., Ltd. founded in 2006. Jinghua located at Anping (Hometown of Chinese Wire Mesh) and is one of the leaders in metal products industry. Our main products includes Steel grating, livestock handling and horse stable..Jinghua's professional group is ready to provide you best products and excellent service! 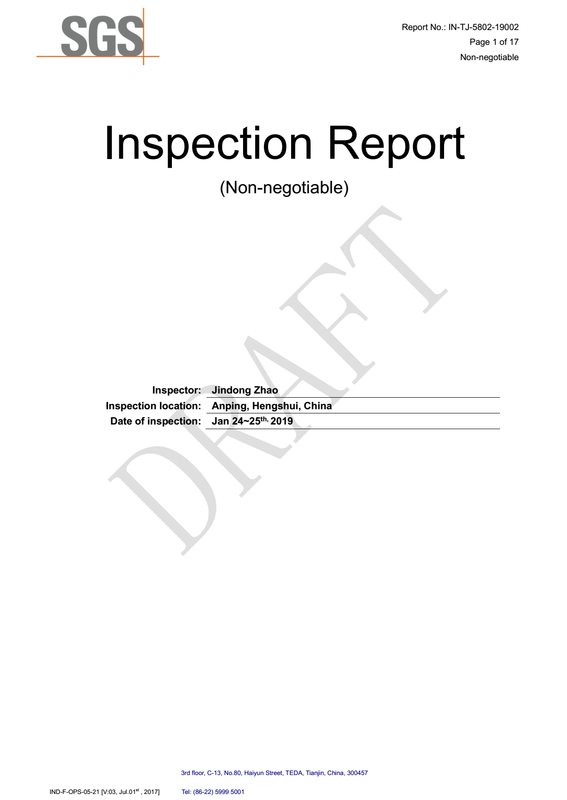 SGS Inspection Report for Steel Grating.